Mahindra & Mahindra Ltd. (M&M), a part of the US $20.7 billion Mahindra Group, today announced that it has rolled out 100,000 units of its Jeeto mini-truck platform since its launch in 2015. Jeeto is the ideal mini truck for business needs as it helps in the last-mile transportation of goods. 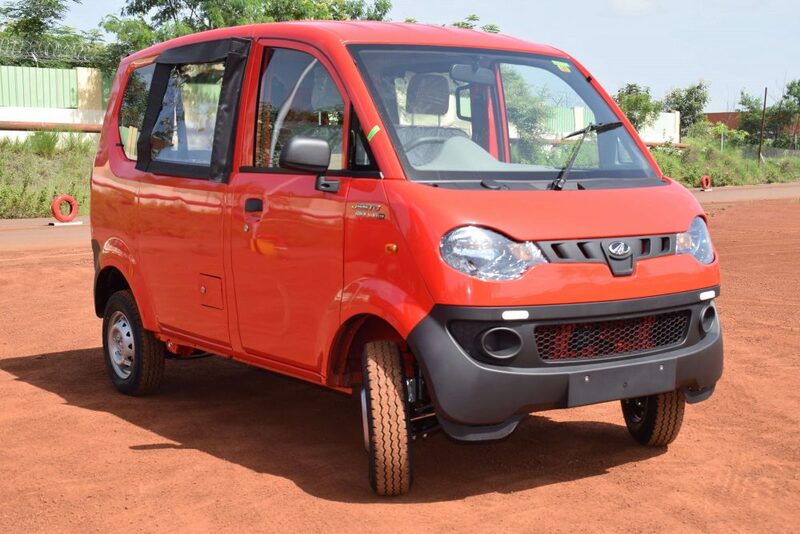 Produced at Mahindra’s state of the art manufacturing facility in Zaheerabad, Telengana, the Jeeto was launched in eight variants that addressed varied customer needs. The Jeeto offers superior product performance, enhanced safety, lower maintenance, and 30% better mileage that guarantees more profit to the customer. Launched in June 2015, Jeeto Load is the first ever product in its category with a modular range of eight mini-trucks to cater to the varied needs of the sub 1 tone load segment customers. The diesel variant of the Jeeto is available in S, L & X series and caters to 3-wheeler, micro-truck and mini-truck customers. Jeeto is available in a CNG powered version as well. Jeeto has been designed for refined performance and delivers fuel efficiency of up to 33.4 km/l, which is the best in this segment. Jeeto is also quite popular in the e-commerce industry, Swacch Bharat Mission & other captive segments. All these along with strong customer validations have resulted in Jeeto being awarded the Apollo CV of the Year Award. Going beyond the product’s performance, Jeeto also features in the ‘Make in Telangana’ video and has received an excellent response from e-commerce and captive customers. Jeeto Minivan, the passenger vehicle on the Jeeto platform, has redefined last mile transportation, offering a range of five variants under two categories: Body Type – Hardtop and Semi hardtop and Fuel Type – Diesel, Petrol and CNG. The stylish, power packed Jeeto Minivan offers superior performance with its best in class power of 11.9kW (16 HP), torque of 38 Nm and BSIV emission norms compliant mDura engine.